Detailing the physical features, habits, territorial reach and other identifying qualities of the Saddleback Caterpillar. 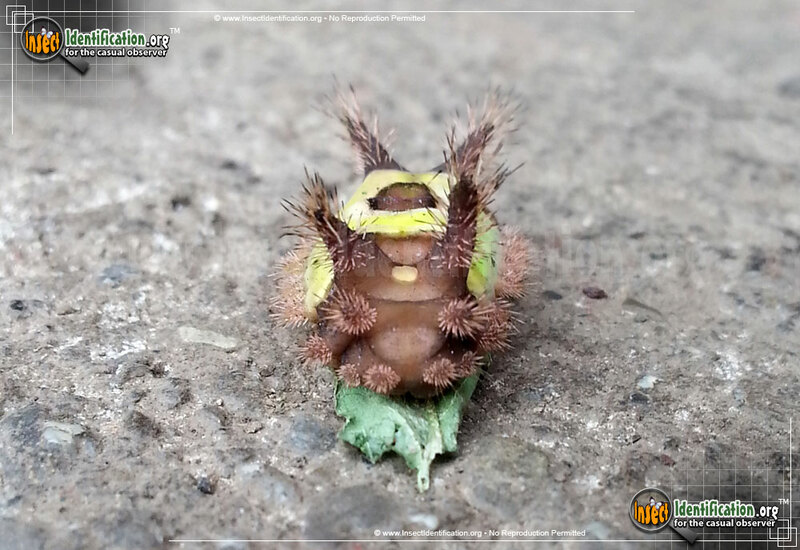 Saddleback Caterpillars have stinging spines that reinforce the wisdom in not touching something that looks so strange and spiky. 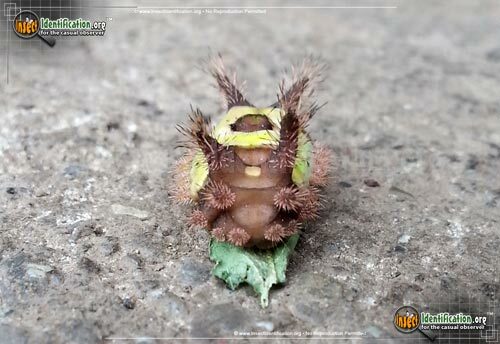 The Saddleback Caterpillar is covered in short hairs that sting when touched, meant to deter predators from trying to eat it. These same hairs can sometimes leave a rash on a poking person, too. 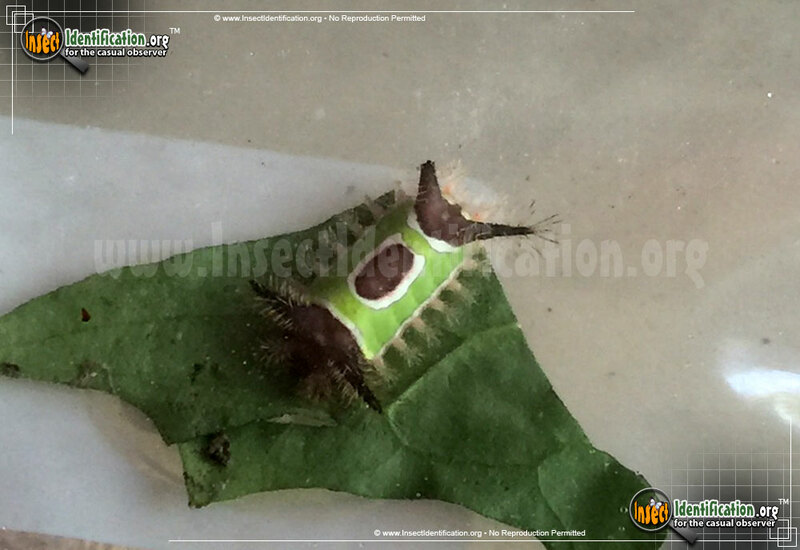 It is a member of the Slug Caterpillar Moth family and has suckers underneath the body in place of some legs. 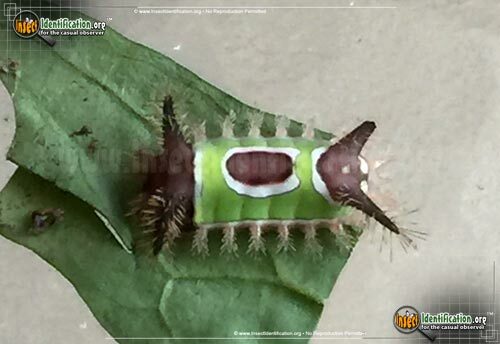 This allows it to defy gravity and walk along the underside of leaves and branches when feeding. This species is not a picky eater and feeds on a variety grasses, trees, and shrubs. 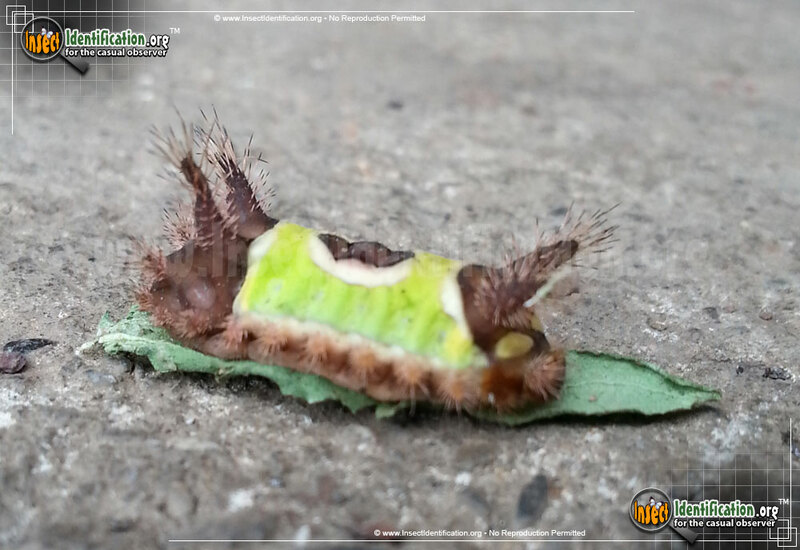 This highly unusual caterpillar becomes a dark brown moth and less conspicuous as an adult. The when wings are opened flat, you can see that the moth has a small white spot on its forewings near its body, and two or three white spots near the tips of the wings. The summer season is its most active time of year.